Polls show widespread opposition to a Syria strike, especially among voters who lean Democratic. And the opposition appears to be growing. House Speaker John Boehner, R-Ohio, backs President Obama’s request for authorization to intervene militarily in Syria, as does House Democratic Minority Nancy Pelosi, D-California. Senate Majority Leader Harry Reid, D-Nevada, is similarly “in,” while Senate Minority Leader Mitch McConnell, R-Kentucky, in mum. Thus, when members of Congress decide which side they’re on in the Syrian intervention votes that are expected to take place next week, they will have to consider whether they want to respond to pro-war pressure from inside-the-Beltway—as so many did when they authorized action against Iraq—or to the anti-war sentiments of their constituents. The level of opposition might not be quite so overwhelming. But it is strikingly high. And, even as the president makes his case, skepticism about intervention appears to be growing. The latest Washington Post/ABC News poll, released after the president announced he would seek congressional authorization for an attack on Syria, and after several days of administration lobbying for that attack, found that voters are overwhelmingly opposed to intervention. * Sixty percent of registered voters (59 percent of all respondents) express opposition. Just 36 percent support intervention. * Self-identified Democrats are opposed 54-42—a 12 point gap. * Republicans are opposed 55-43—a similar 12 point gap. * The fiercest opposition is among independents, who disapprove of intervention by a 66-30 margin. That figure suggests that members of Congress who represent swing districts might actually be more vulnerable if they vote to authorize the attack. In addition to being broad-based, the opposition sentiment runs deep. Even if US allies such as Britain and France join in, a 51-46 majority is still opposed to missile strikes. 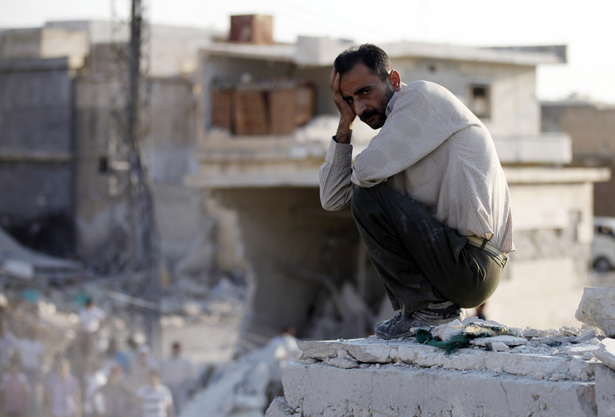 The idea of going further and trying to topple the Syrian regime appears to be a political non-starter. Seventy percent of those surveyed oppose supplying weapons to the Syrian rebels, while just 30 percent support the proposal that has been floated by President Obama and Republican hawks such as Arizona Senator John McCain. What is especially notable about the polling data is the intensity of opposition to any sort of intervention—including missile strikes targeted at suspected chemical weapons sites—among groups that lean Democratic at election time. * Among Americans under age 40 who were surveyed for the Post/ABC poll, 65 percent are opposed. * Among Hispanics, 63 percent are opposed. * Among African-Americans, 56 percent are opposed. On the question of arming the rebels, opposition numbers skyrocket. * Seventy-six percent of women surveyed for the Post/ABC poll are opposed. * Seventy-four percent of those under age 40 are opposed. * Seventy-three percent of African-Americans are opposed. Regionally, the Democratic-leaning states of the Midwest and the Northeast are more opposed than the Republican-leaning states of the South.